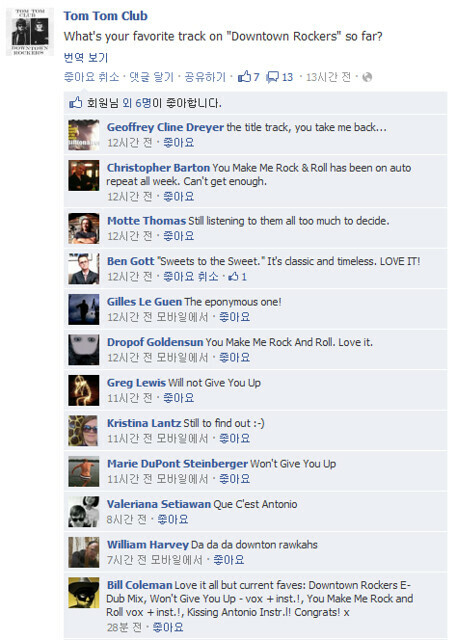 Chris Frantz와 Tina Weymouth가 그들의 새 E.P. Downtown Rockers와 그들의 삶, 그리고 음악에 대해서 인터뷰를 가졌다. It’s often said that a drummer and bass player have to be “married” to form a great rhythm section. But you and Chris actually are husband and wife! [Tina laughs] Does either one lead? “The drums always lead. The drums work the band. A bass player follows the drummer – always. It doesn’t matter what band you’re in. You can’t do it any other way. I mean, Tricky tries to do it a different way, but Tricky’s Tricky. 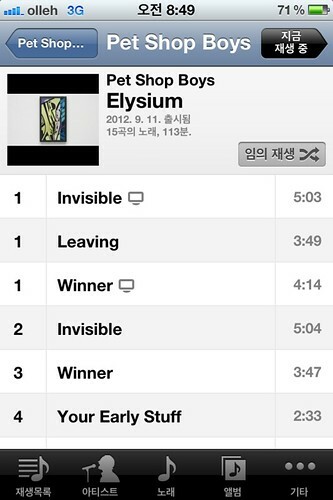 He is exactly what he says he is – he doesn’t do music, he does image. 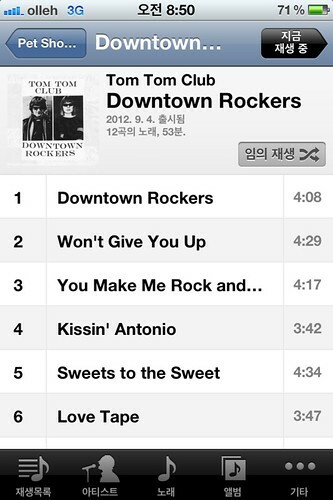 Tom Tom Club의 새 앨범 Downtown Rockers 가 iTunes에서 판매를 개시했다. Chris Frantz는 이 소식을 트위터 계정으로 전했다. 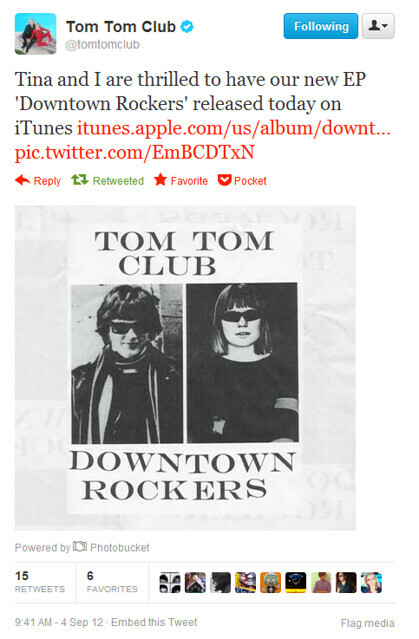 Tom Tom Club의 새 EP “Downtown Rockers”가 9월 11일 출시된다. 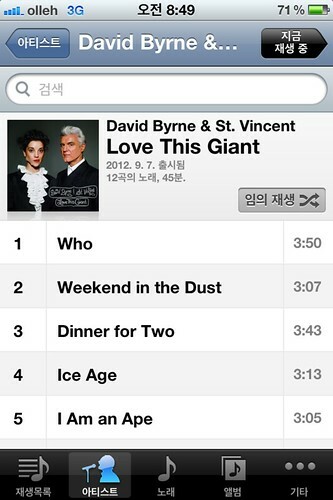 특이한 점은 앨범을 LP와 mp3로만 판매한다는 점이다. 디지털 버전에는 보너스 리믹스와 얼터너티브 버전이 포함된다. 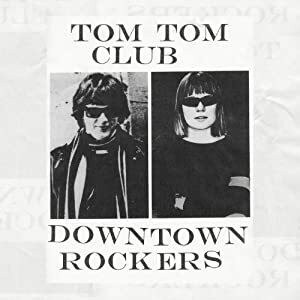 타이틀 트랙은 “Downtown Rockers”.